Since last year, Dynegy has tried to strong-arm Illinois legislators and regulators into allowing it to pollute more. And, it wants to charge customers more to do so. This is a lose-lose for Illinoisans. And, in addition to Dynegy’s legislative push, the Illinois Pollution Control Board continues to consider the company’s request to weaken pollution standards. This proposal is buoyed by Alec Messina, an ex-lobbyist who now is director of the Illinois Environmental Protection Agency. (1) We don't need their coal plants for the grid. Read the article for more. (2) Dynegy wants the state to give their uneconomic plants $400 million per year, at the taxpayer's expense. Do YOU to pay more for dirty energy? (4) Dynegy was just acquired by Vistra Energy in a move that will generate $4 billion in equity. And they want Illinois residents to bail them out? Read more from Christie Hicks, Environmental Defense Fund. March 5, 2018. And yes, this is the same company that wants to cap and leave 3.3. million cubic yards of coal ash in the floodplain of Illinois' only National Scenic River. This is another liability they are proposing to hand over to Illinois residents. 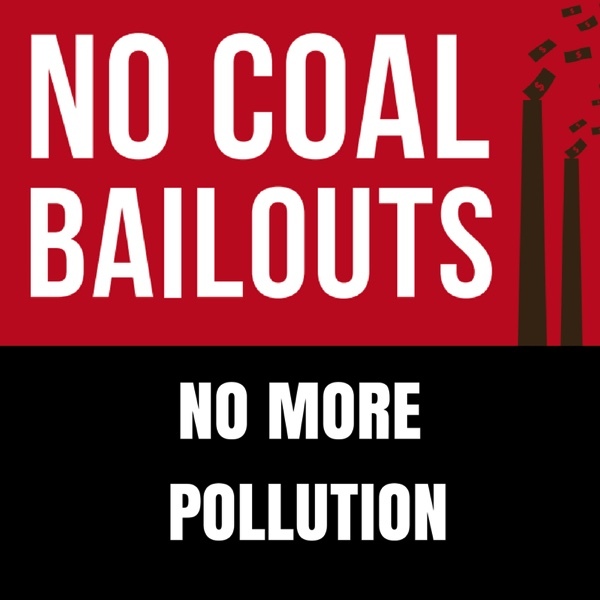 We say #NoCoalBailouts for Dynegy. It's time to move beyond coal.